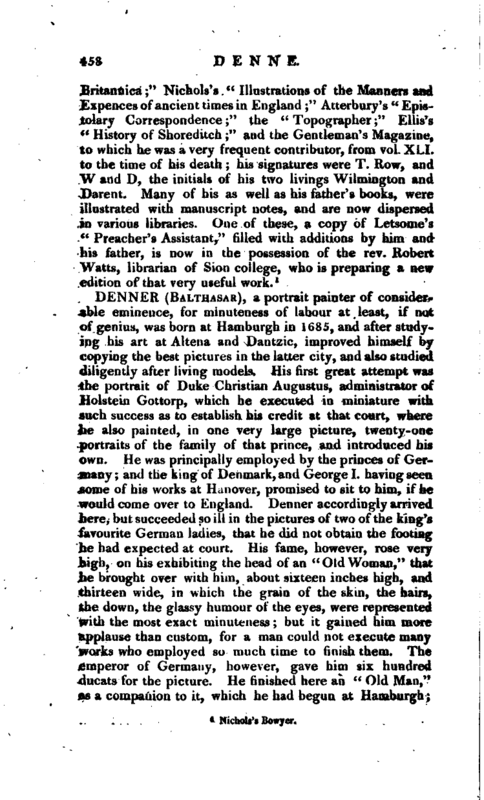 , youngest son of the preceding, was born at the deanry in Westminster, Jan. 13, 1710; admitted of Corpus Christi, or Bene’t college, 1748, where he proceeded B. A. 1754, M. A. 1756, and was elected F. S. A. 1783. He was presented in 1754 by the dean, and chapter of Rochester, to the vicarage of Lamberhurst, in Kent; and in 1767 to that of Wilmington, near Dartford; and the same year to the vicarage of Darent, having resigned Lamberhurst. For nearly forty years of his life he was afflicted with a bilious complaint, winch frequently interrupted his studies, and gradually impaired his constitution. For the last two months he was confined to a chair in his library, in which he was supported by a pillow, and although frequently sinking under an oppressive languor, his faculties remained entire to the last. 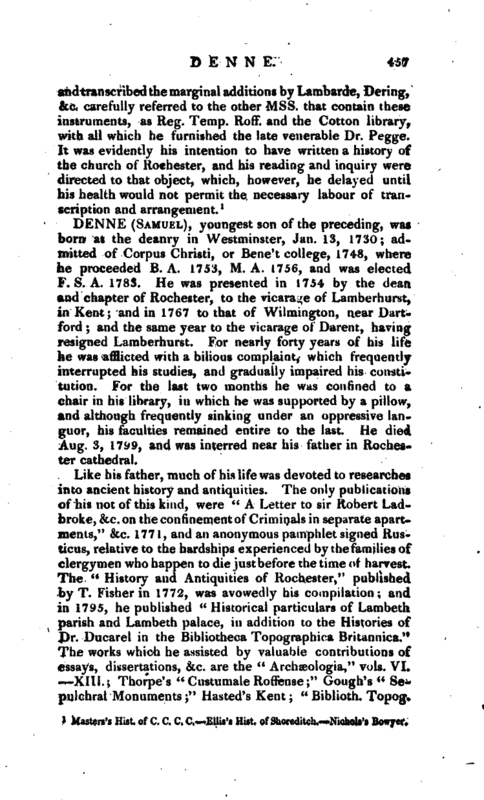 He died Aug. 3, 1799, and was interred near his father in Rochester cathedral.